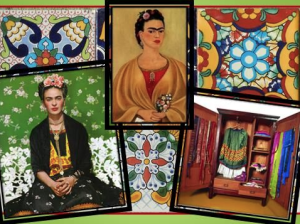 Although the interactive presentations and the guided practice in each Meet the Masters unit give details about the artists’ lives and heritage, introduce vocabulary words, and teach art techniques, some of our teachers show their artistic spirit and enthusiasm by dressing-up to enhance the learning experience for the students. 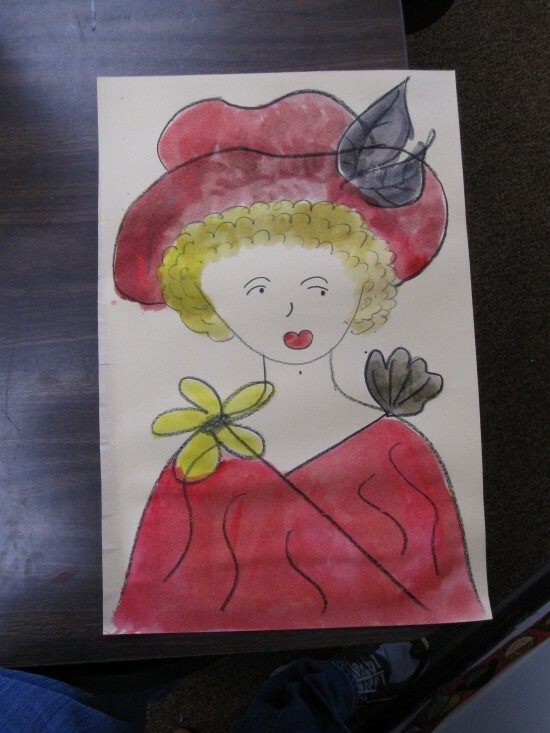 We’ve caught them dressed like the artists themselves, like the artist’s work the students will be creating, and in clothing that is similar in theme to the artist’s designs. While studying Henri de Toulouse-Lautrec, the students will draw and paint a Parisian character. 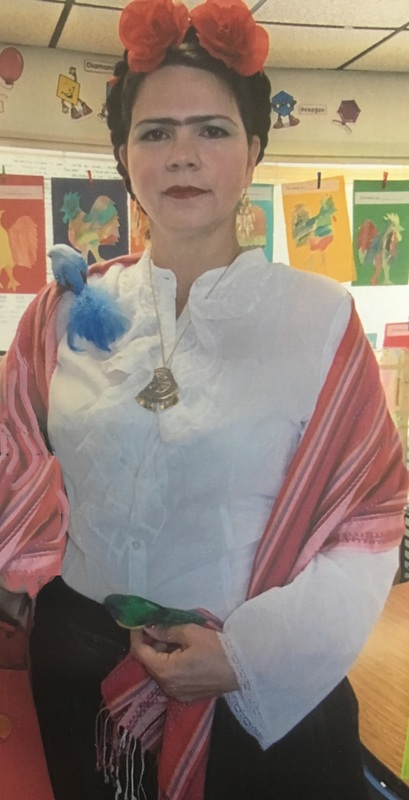 To teach the lesson, this teacher dressed up as that Parisian character. 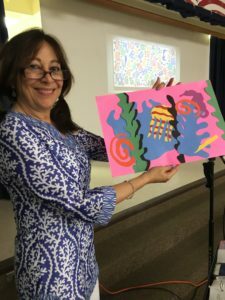 Below, our Meet the Master’s teacher wore her Matisse-inspired top showing the students the lasting and wide-reaching effects of art. 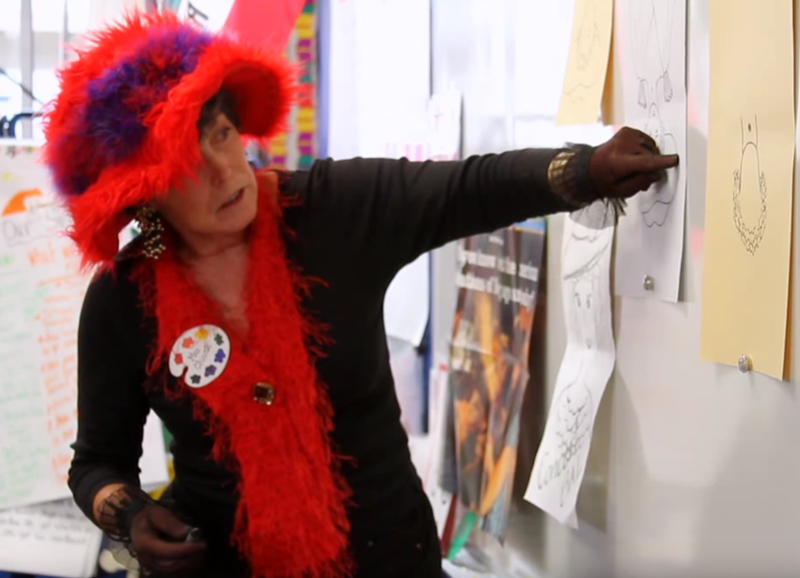 Sometimes the teachers present while dressed as the artist they are teaching about. Below, our teacher has gone all out to look like Frida Kahlo. 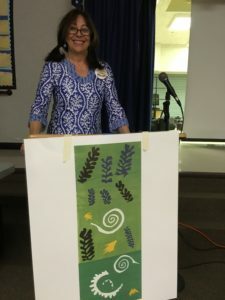 Although the Meet the Masters curriculum teaches and entertains the students through various multi-media and hands on tools, it’s fun when the teachers add a little extra and their own personal touch. For more information on our timed, scripted, standards-based program, click here.